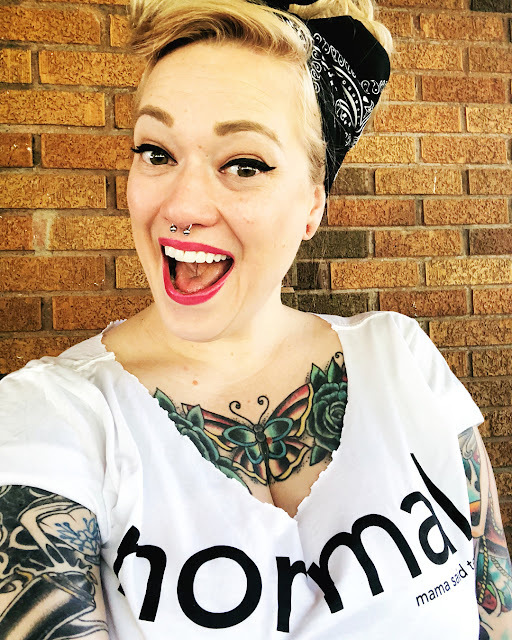 I had the absolute privilege to work with EveryKind (Mama Said Tees) a couple of months ago, and I don't think I could love a company any more than this one! It all started in 2014 when we met online (yes, really!) bonding over our love for exclamation points (!!! ), having the same name (Colleen) and our babies born just a day apart. 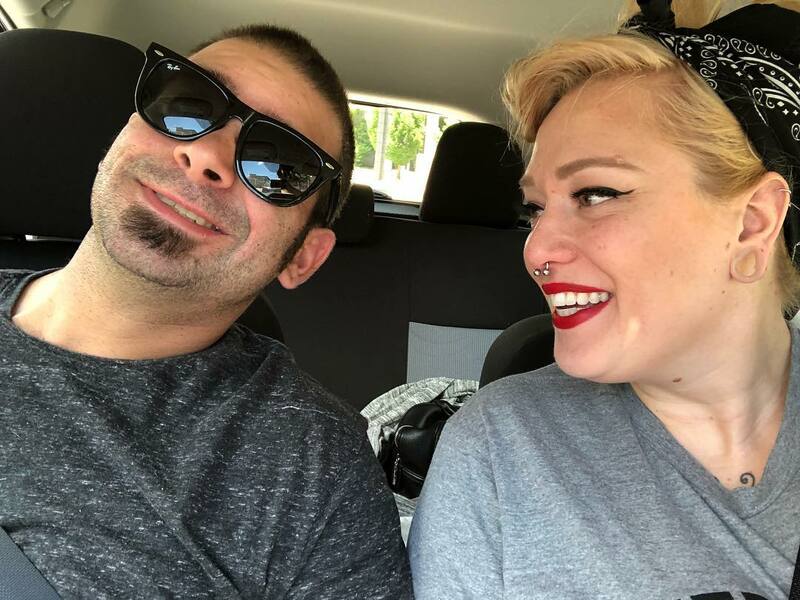 We shared a passion for kindness and had an instant connection by way of e-mails. 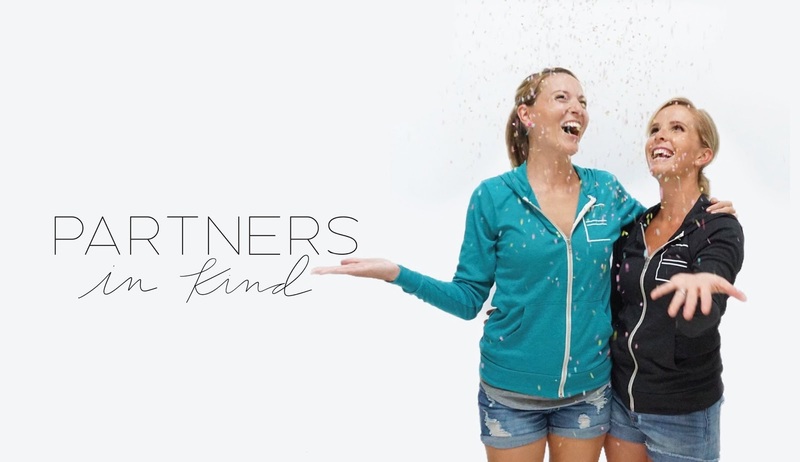 Our friendship grew from e-mails to texts to phone calls, and we decided what better way to share kindness than putting it across the hearts of our kids on comfy tees for all to see! In the summer of 2014, EVERYKIND (formerly known as Mama Said Tees) was created before we ever even met in person. At first, we only sold tees with kind messages, but our small shop "that could" has grown into so much more than we could have ever dreamed. EVERYKIND is a lifestyle brand that spreads kindness through unique designs created with you in mind. We believe that no matter who you are, you fit right here with us. We want to shout to the world (and we need your help) that we embrace everyone's differences and we have a desire for EVERYKIND to be accepted. We are a growing brand with so much to achieve and we are so thankful to all of you for helping us share our mission in kindness! Both of these woman a ultra amazing and have a great story all their own. So needless to say I am SOLD on this company! 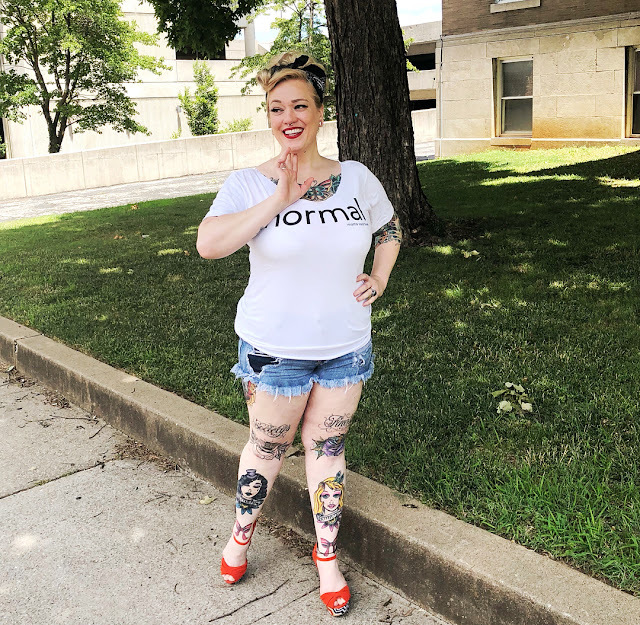 Not to mention most of their apparel has a portion of the sales go to a wonderful charity that supports kindness and changing the game in how we see each other. Basically, how to spread kindness. So, I grabbed my #instagramhusband and my in real life husband to snap some photos of some of the items they sent to me. 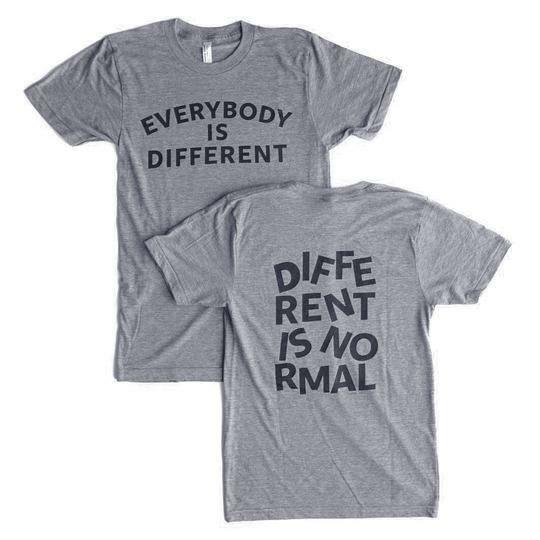 First up is the redefine Normal Tee. 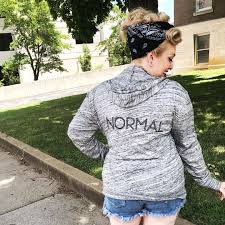 The original normal tee! 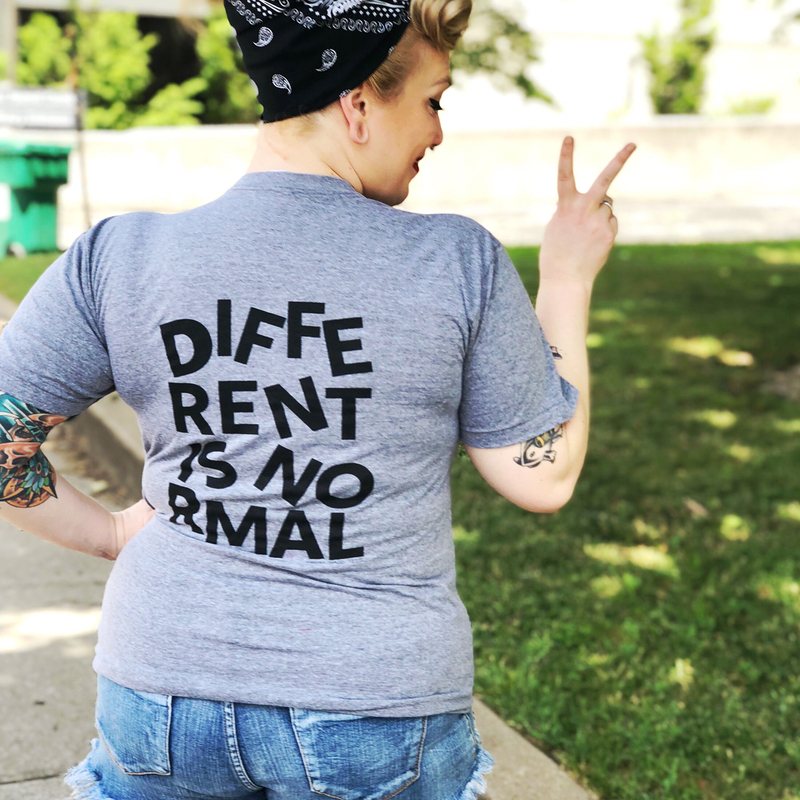 Make a difference while rocking your Normal tee! A portion of the proceeds go to PACER's National Bullying Prevention Center! The end of bullying begins with YOU! This shirt is incredibly soft and it also come in hoodie form below (and its on sale! ), which I just keep with me at all times! Also available is the Everybody is Different Tshirt. How boring would it be to all be the same anyways? Own your differences because there is NOBODY like YOU! Read more about the inspiration behind this shirt HERE. This company has rolled out a bunch of new designs, all that are as comfortable as the next, and all that help spread love and joy! And who doesn't want to be a part of that?